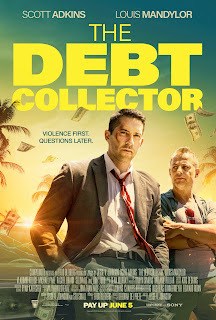 Check out my new review The Debt Collector of over at Far East Films. From B-movies to blockbusters; kung-fu to car chases movies; explosions and even a bit of sci-fi, you'll find it here at Cool Target. This blog is a simple appreciation of the most under-appreciated genre of cinema: action. Old and new reviews, both short and long will be posted regularly detailing action blockbusters, B-movies, kung-fu flicks and more. Enjoy.